Most commonly manufactured on Fiat 500 and 600 bases, the beach car concept was created by the Italian coachbuilder Ghia and its boss Gigi Segre when he started noticing open carrier cars in small hotels on Asian islands. The Jolly is completely stripped off from its doors and was converted into a permanent convertible with cushions type wicker seats, generally of the same fabric as the cover and allowing passengers to be protected from the sun. 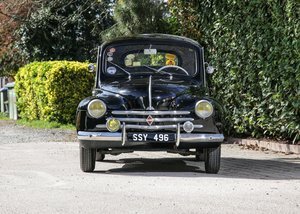 Only a minority of about 50 beach cars were built on the Renault 4CV but at the time, it had actually benefited from various transformations like the Police car models. 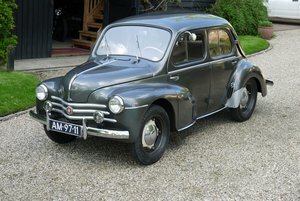 It was naturally a lot more powerful and it had more generous proportions compared to the Fiat 500, which gave it a highly unique and charming look. Its current owner bought it at an auction sale in Fort Lauderdale few years ago in order to include it in his important collection. 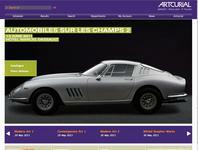 The car underwent a complete service in its own workshop. 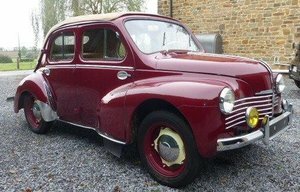 This is a rare and very desirable automobile for any enthusiast who owns a holiday home by the sea or in the countryside.